Odd LeafSpy Readings - Can someone explain this? Hi all, so, i've had my Leaf for four weeks - a used '13 SL - over 54k miles but still at 12 bars. 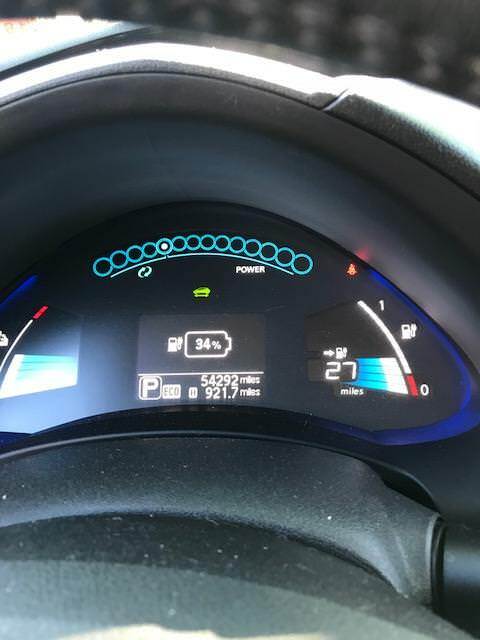 I have been running LeafSpy on it for about three weeks and the numbers seam pretty good for a '13 at this mileage - currently a tick over 87% SOH and just over 57 AHr. Which brings me to the weird readings i was getting from LeafSpy this morning on my morning commute (i have not attached a screen shot as i cannot figure out how to do that). Basically, LeafSpy is reading a SOC of just over 41%, but the KW remaining is 6.5, which calculates to 15.8 kW total battery capacity - way lower than what what an 87% SOH battery should have (reading also from LeafSpy - around 18kW assuming 20.7kW for a new pack). Is there a possibility the SOC on LeafSpy is just off - (the car SOC is reading 34%)? 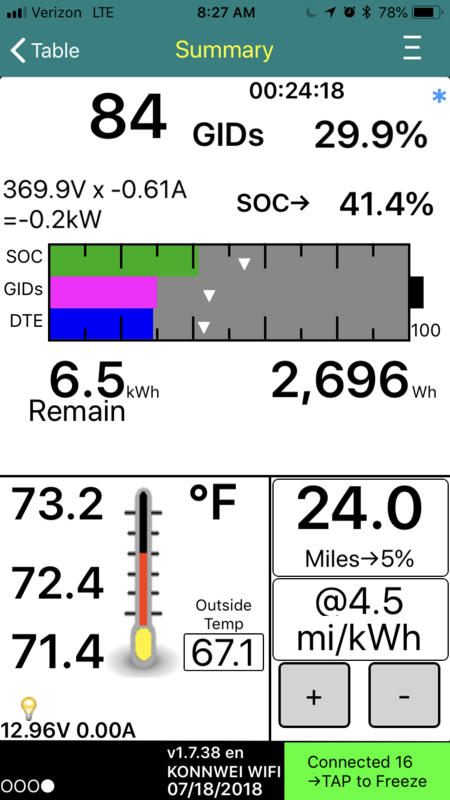 It is not driving like a car that only has under 70 miles of range - the range estimates seam accurate on LeafSpy and fairly consistent, but do not seem to match with the SOC which seems to not drop as fast as the remaining kW, and when i charge it to 100% it reads on both the GOM and LeafSpy has having just over 80 miles of range. Re: Odd LeafSpy Readings - Can someone explain this? If you have the screenshot, the best thing is to upload it to a free image hosting site like imgur.com and use the embedded image link to post it inline here. Just a note: fix your units. I'm pretty sure everywhere you said "kW" you really mean "kWh".